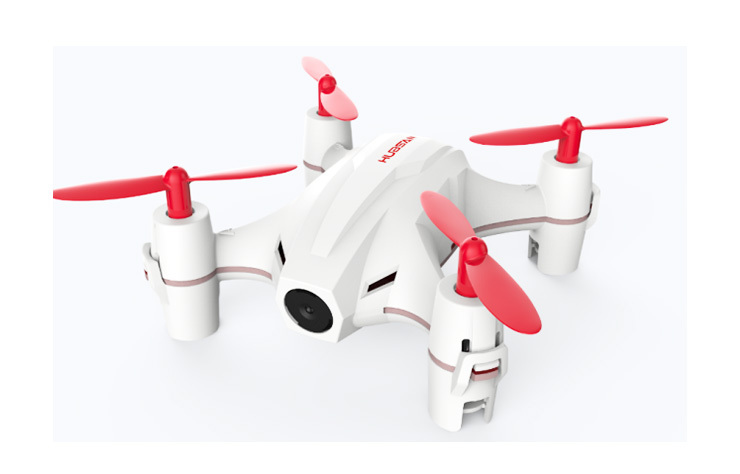 Hubsan introduces another Nano Quadcopter with camera, in-addition to its recent launches H111C and H111D. As cheerson is aggressively launching its Cx-10 mini variants, Hubsan is following the same path in introducing the range of quadcopters for all segment hobbyists. Hubsan, maturing as a professional Brand for Quadcopters and Drones, they got right set of variants for all segments, The balance between the big outdoor birds like H109S, H501s and the Nano drones like H002 are perfectly justified. in my view that's how the brand grows, from less than $30 to $1000+ drones, the brand has got all flavors. 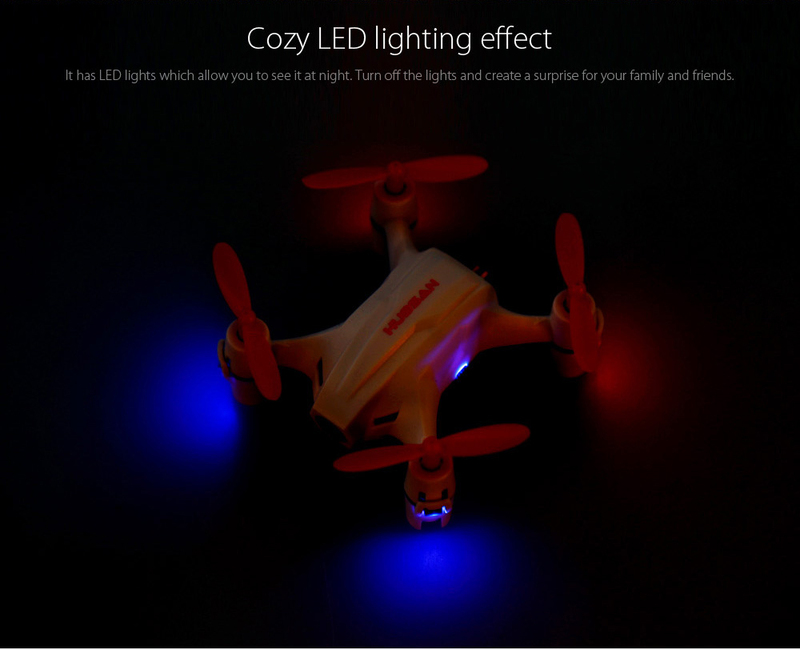 This little Hubsan H002 Nano RC quadcopter poses a striking resemblance of a polar bear. In my honest opinion, this nano is is purely intended for the beginners and casual flyers for recreational purpose. Measuring 6.80 x 6.80 x 2.50 cms is size. H002 Comes With 0.3 Megapixels camera (some specs says its actually 720 Hd camera) and a toy grade 2.4 Ghz remote controller with headless mode feature. Headless mode: It is difficult to know which direction the drone is facing when it is flying in the air. As this drone is featuring the headless mode, you can just keep flying irrespective of how the quad is positioned in air. 0.3MP aerial camera: Given the price and the size of the quadcopter, most of the micro and nano quadcopters comes with VGA cameras, same goes with Hubsan H002, its equipped with 0.3 Mega Pixels Camera. on the other side, the recent launches from Hubsan the H111C and H111D with FPV comes with 480P Camera. Stable Flight: most of the Hubsan drones are known for its stability,You can enjoy a stable flight and precise control provided by the 6 axis gyro system. In addition, The 2.4 Ghz transmitter seems to be a simple and user friendly with no mess of buttons.Flips, Rolls and Colorful led's are few other features. If you have flown the Cheerson CX 10 Series , its definitively worth giving a try for Hubsan H002, the headless mode makes it easy to kick start your drone hobby. Seems, Hubsan is right on Target on its portfolio for 2016,really gearing up for Christmas 2016. Stay Tuned for my complete review on H002, meanwhile post your views on the better nano (Cheerson Vs hubsan) quadcopter using the comments section below.